Rebecca comes from another Spanish top club, Levante UD where she spent two seasons and she appeared in 14 league matches scoring two goals in her first season 2016/17. 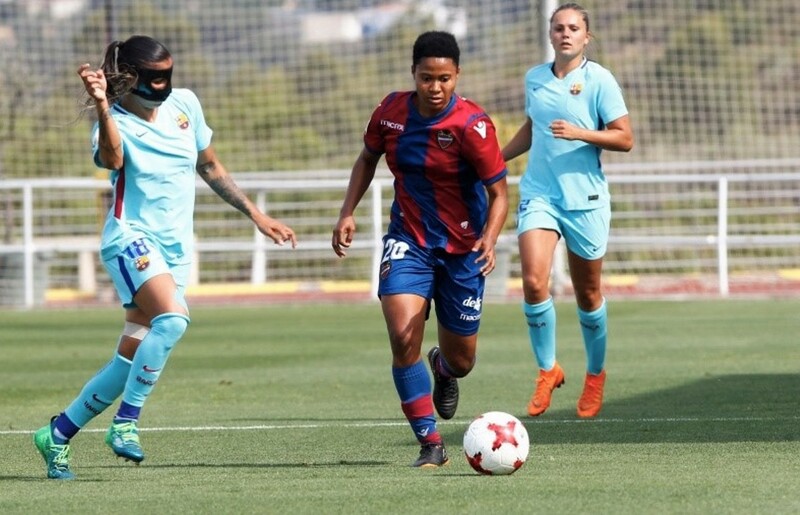 Rebecca had an increased role with Levante in her second season after scoring three goals and making two assists in 19 league appearances. She also played two Coppa de la Reina matches. Prior to Spain, the Ivorian midfielder started her international career in Sweden where she spent two seasons (2015, 2016) for Kristianstads DFF with whom, she became the best player in 2015 with nine goals in 15 matches played. Rebecca has earned close to 34 caps for the Cote D’Ivoire Women’s National Team scoring three goals. Most recently, she played in the African Women’s Cup of Nations qualifying matches. She also played the WAFU tournament where her country ended runner-up. Rebecca joined Italian International Deborah Salvatori Rinaldi at Espanyol who is also represented by LTA Agency. LTA Agency wish Rebecca a lot of success at her new club. 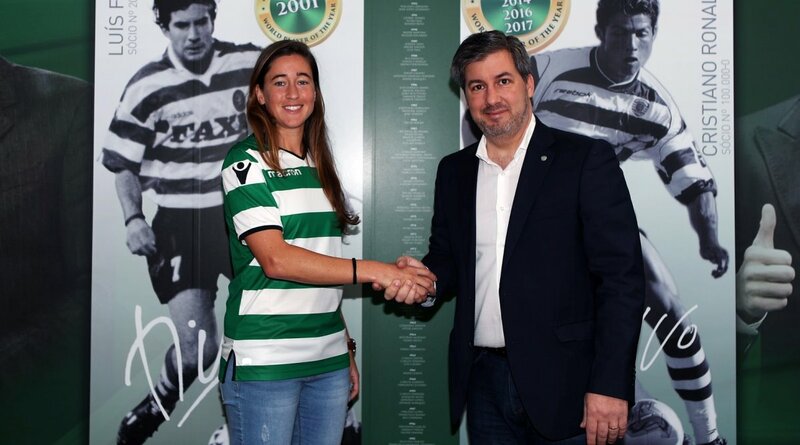 Carolina (30) moves to the Portuguese giants-Sporting Lisbon from the Italy’s first division club, where she played 16 league matches and scored five goals for ASD Mozzanica outfit. She also featured in one Coppa Italia match and scored a goal. ASD Mozzanica ended in the fifth position of Serie A. Prior to Italy, the Portuguese international spent a season in Icelandic top-flight (Úrvalsdeild Women) with Grindavik. She also played for Djurgården in Sweden, for FC Rossiyanka in Russia where she won the Russian Women’s Football Championship and has also played in Spain, since she started her international career. Carolina has 72 caps and 13 goals with Portugal Women’s National team. With four games and a goal scored, she helped Portugal to finish third in the Algarve Cup 2018, this was the team’s highest-ever finish in this tournament. She also featured in all five World Cup Qualification matches so far for her country and also scored a goal. LTA Agency wish Carolina the best of luck at her new club. 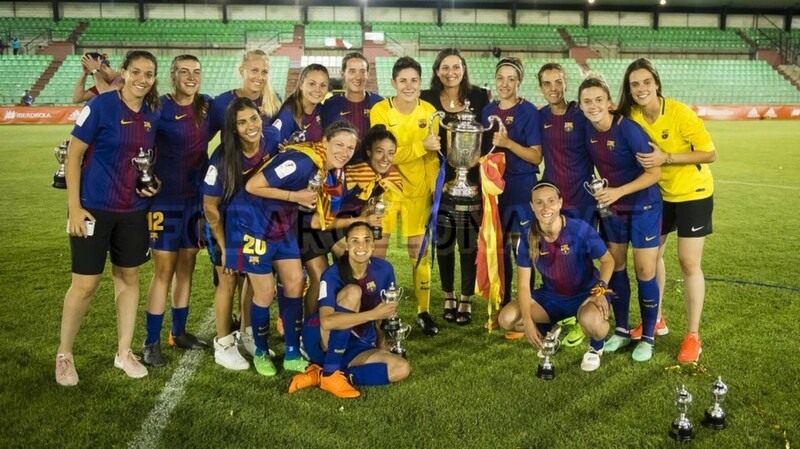 The final of the Copa de la Reina was played between two top teams with LTA Agency representing two international players of each club: Line Røddik Hansen and Vicky Losada of FC Barcelona, Amanda Sampedro and Andreea Părăluță of Atletico de Madrid. 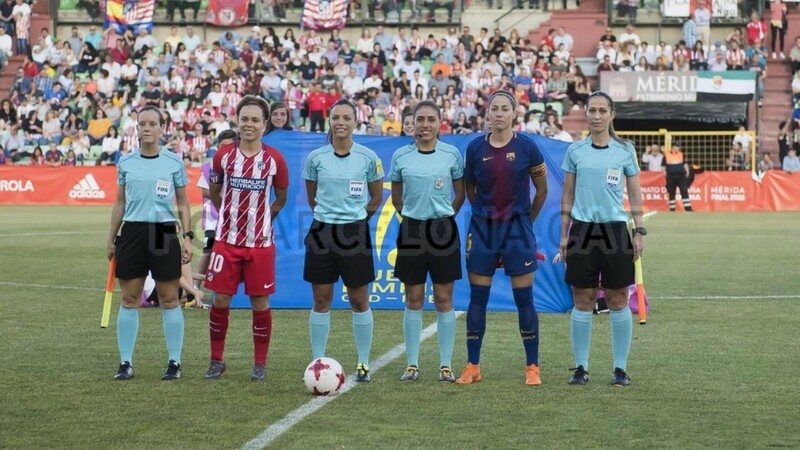 Last Saturday, Vicky and Amanda had both captained their teams in the final of the tournament in which FC Barcelona beat Atletico Madrid 1-0 in a tough game. Since 2016 it is the same two clubs who have reached the final and just like last year, FC Barcelona are the winner of Copa de la Reina. By winning again this year, they have reached the record of six Copa de la Reina trophies. FC Barcelona were also Primera División’s runner-up of the season which has just finished, with only one point difference from the Champions Atletico Madrid. LTA Agency congratulate Vicky on this achievement. 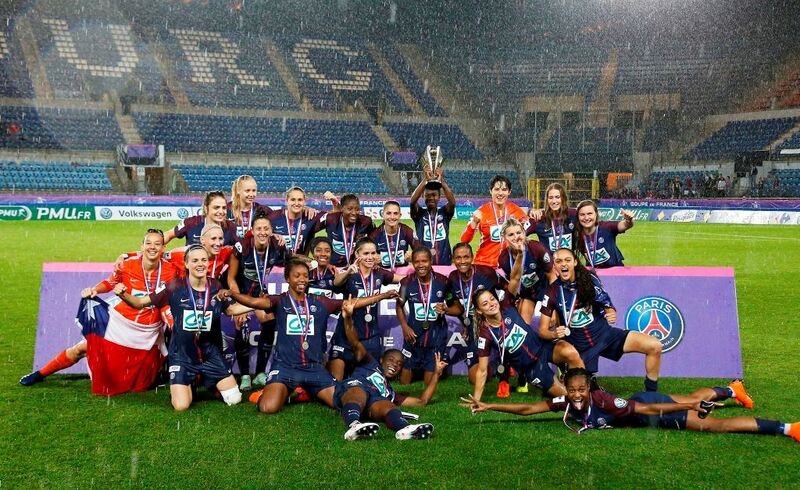 PSG, the six-time runner-up of the Feminine Division 1, have managed to end this season with a trophy. PSG have won their second historic French Cup title eight years after the first one. To deserve this title, Irene and Emma’s side have had to defeat Olympique Lyonnais who were going for a third treble (the UEFA Women’s Champions League, the French league, and Cup) in a row. While Emma played one game Irene featured in four Cup matches scoring a goal. The Spanish defender also played 90 minutes of the final in which PSG beat Lyon 1-0 and broke their bid for a seventh straight French Cup title. This seventeenth edition of the French Cup took place at Menau stadium in Strasbourg. The match was interrupted by a heavy rain and restarted almost one hour later. Irene was voted as one of the best defenders in the world by Fifpro in 2017. She joined PSG for the 2016-17 season and was runner-up of the French Cup and the UEFA Women’s Champions League. This season, she has featured in all 22 league matches scoring three goals. Emma Berglund joined the club at the beginning of the season which just finished and unfortunately got injured after playing 11 games an scoring one goal. She is still recovering from injury expecting to play next season alongside Irene as PSG will compete in the UEFA Women’s Champions League once again. LTA Agency congratulate Irene and Emma on this historic achievement. 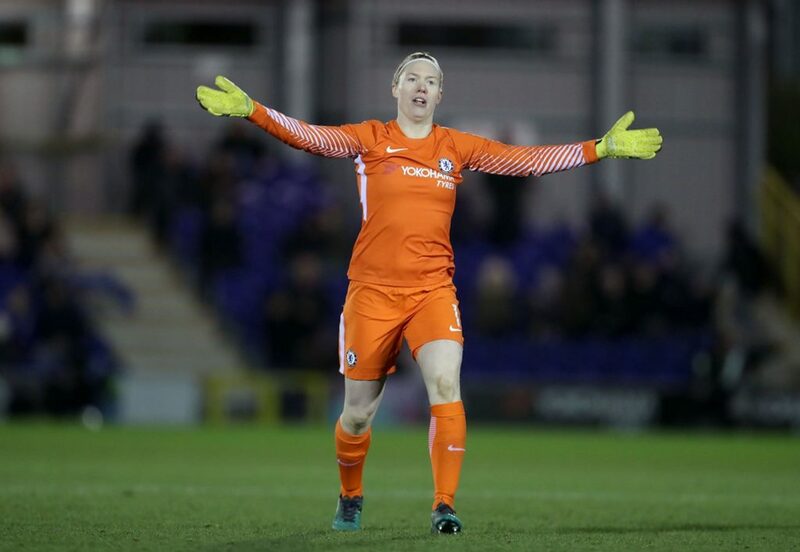 After lifting the FA Cup just few days before, Hedvig and Maria’s team have managed to beat Bristol City 2-0 at the Stoke Gifford Stadium last Tuesday evening in their last but one league game. 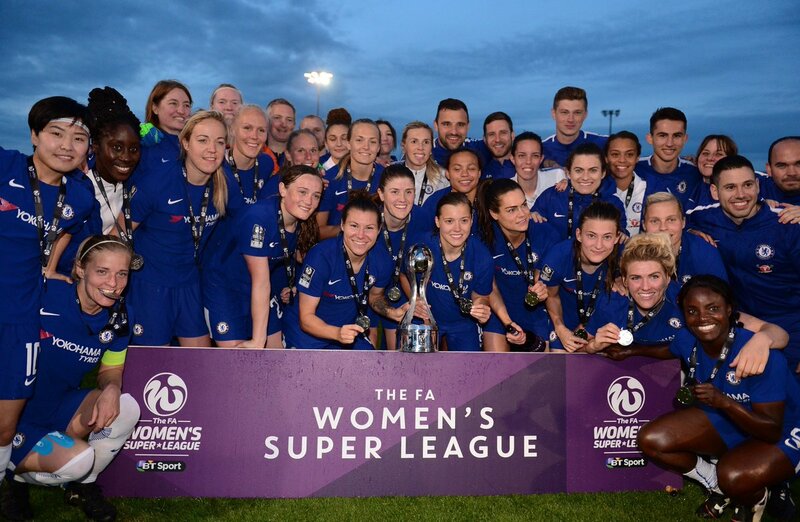 Chelsea were crowned England’s Champions and won their second domestic Double in three years. This is Hedvig’s second domestic double win with Chelsea and the first one for Maria. In 18 league matches played, Chelsea won 13 and made five draws. Hedvig has featured in 11 matches and Maria in 10 matches. LTA Agency congratulate Hedvig and Maria on this remarkable achievement. 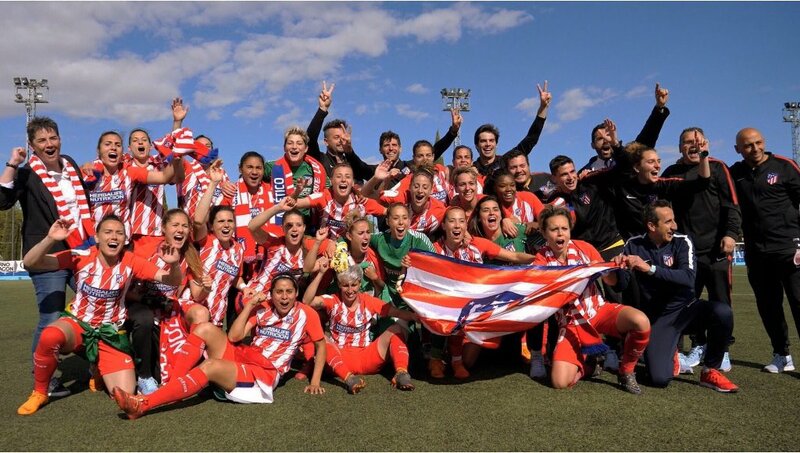 Having claimed their first ever Spanish league title in the 2016-17 season, Atlético de Madrid has succeeded to procure themselves a second title last Sunday, when they crushed Zaragoza CFF 6-1 in their last league match of the 2017-18 season. With only had one defeat in 30 matches played and scored a total of 74 goals in which Amanda participated with 8 goals. Amanda played 90 minutes of all the 30 league matches, and Andreea featured in four of them. The two young international players represented by LTA Agency, Amanda (24) and Andreea (23) have now added a second trophy of Liga Iberdrola to their record of achievements and are preparing to face the challenge of la Copa de La Reina 2018. LTA Agency congratulate Amanda and Andreea on this achievement. The 25-year-old striker comes from Chinese Women’s Super League, where she spent a year with Dalian Quanjian. 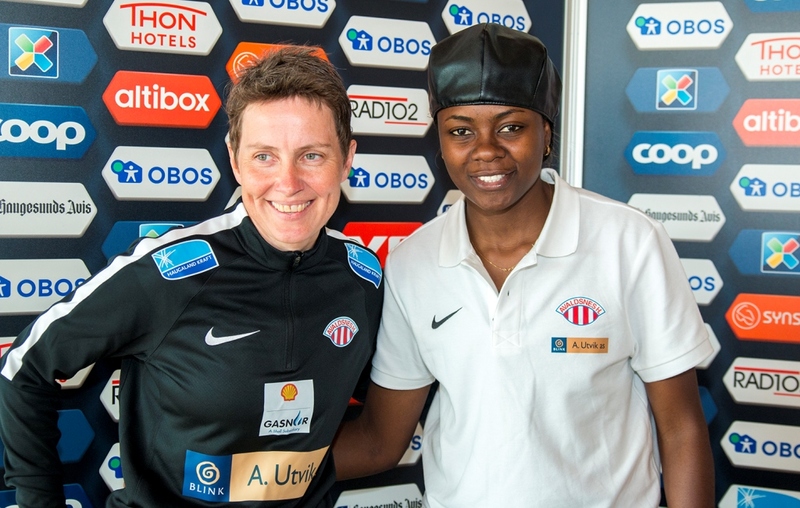 Prior to her Asian experience, the Cameroonian star had a successful spell in Sweden with two different outfits. most recently with FC Rosengård in which whom she won the Swedish Cup, the Swedish Super Cup and finished as 2016 Damallsvenkan runner-up. before that she played with Eskilstuna United where she shone: Gaelle was the league’s best scorer with 18 goals which earned her a Golden Boot in 2015 and she helped the team to qualify for their first ever UEFA Women’s Champions League appearence. The indomitable lioness has earned 43 caps for Cameroon National Team and scored 12 goals so far. Gaelle helped Cameroon to reach the finals of the CAF Africa Women’s Cup of Nations in 2016 and 2014. She also represented her country in the 2015 FIFA Women’s World Cup in Canada and the 2012 London Olympic Games. Enganamouit became the first Cameroonian female player to win the CAF Africa Women’s Player of the Year award in 2015. LTA Agency wish Gaelle a lot of success at her new club. FC Rosengård beat Linköpings FC 1-0 to win their third successive Svenska Cupen title and their fifth overall Swedish Cup. The three players represented by LTA Agency featured in the Cup matches including the final. 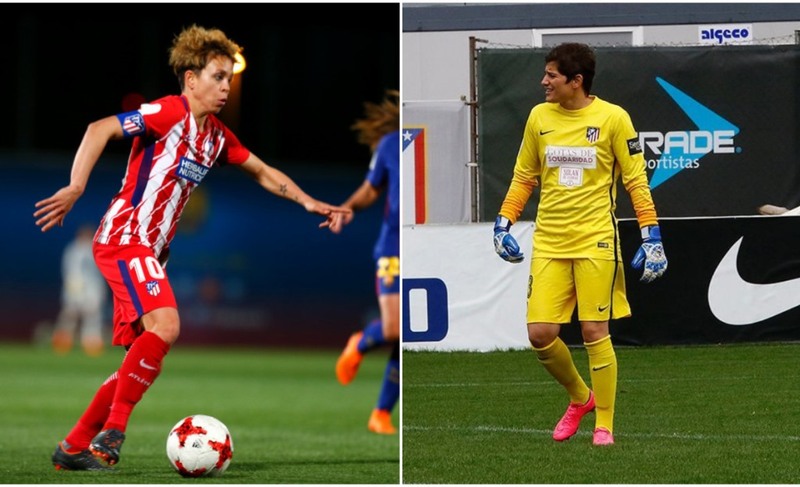 Captain Caroline Seger and Glodis Perla have both played 90 minutes while Lisa played 16 minutes as a substitute. Caroline and Glodis Perla also helped FC Rosengård to the Svenska Cupen trophy of last year, which they had won with the same score against the same opponent. 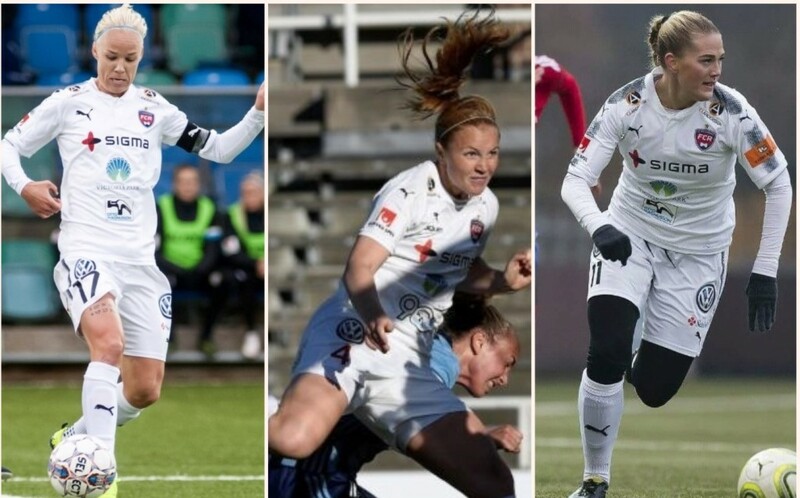 LTA Agency congratulate the three players and wish them good luck for the rest of the Damallsvenskan season. The young talented striker joined Fortuna Hjørring as a 16-year-old in the 2014/15 season from another Danish club IK Skovbakken. Since then, Signe has already won several trophies with her club and reached finals of domestic competitions. She won the Danish League and Cup titles in 2015/16 season and the same season she bagged the title of Fortuna Hjørring’s best young player of the year. She was the runner-up of the Danish league last season. Signe is becoming a mainstay for the Danish giants as she gains experience in both domestic and continental competitions as she matures as a footballer. She has already scored 17 goals in 19 League matches played this current season. She featured in UEFA Champions League matches and reached quarterfinals 2016/17 with her team. The lethal striker already had two caps and one goal with the Danish National Team. She scored her first senior goal just in her second appearance for Denmark in a FIFA Women’s World Cup qualifier against Croatia. She won the title of Denmark’s Female Talent of 2017 voted by Players’ Association. Fortuna is currently ahead of the Elitedivisionen table with four matches remaining. We hope the tall striker will continue her impressive scoring form to lead her team to a new league title. The new contract will keep her at Fortuna Hjørring until 2020. LTA Agency wish Signe good luck for the upcoming seasons. Both LTA Agency’s players featured in Cup matches including the final in which Hedvig played 90 minutes while Maria came in at the second half and played 21 minutes. 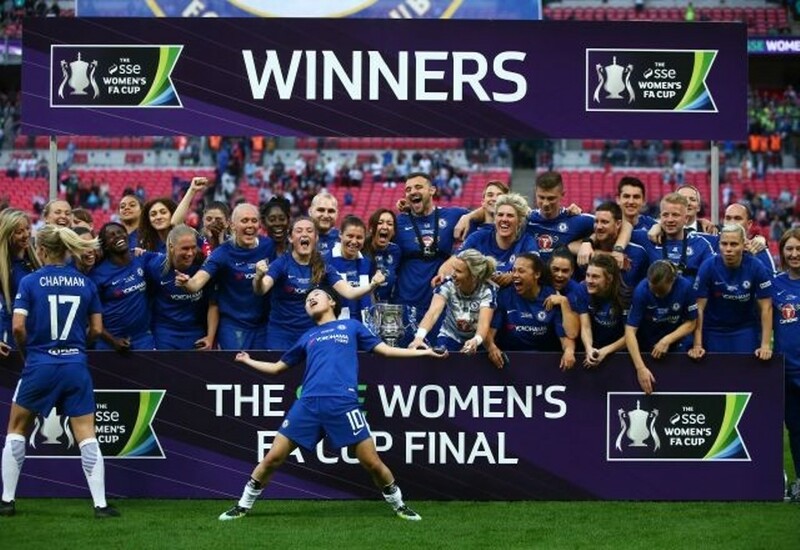 Chelsea have produced a dominant performance to defeat Arsenal 3-1 and lifted their second Women’s FA Cup at Wembley in front of a new competition-record crowd of 45,423. This is the second FA Cup trophy for Hedvig. The Sedish international goalkeeper joined the England side three years ago and had had a superb first season in England. She helped Chelsea to their first historic double win of FA Cup and Women’s Super League in 2015. 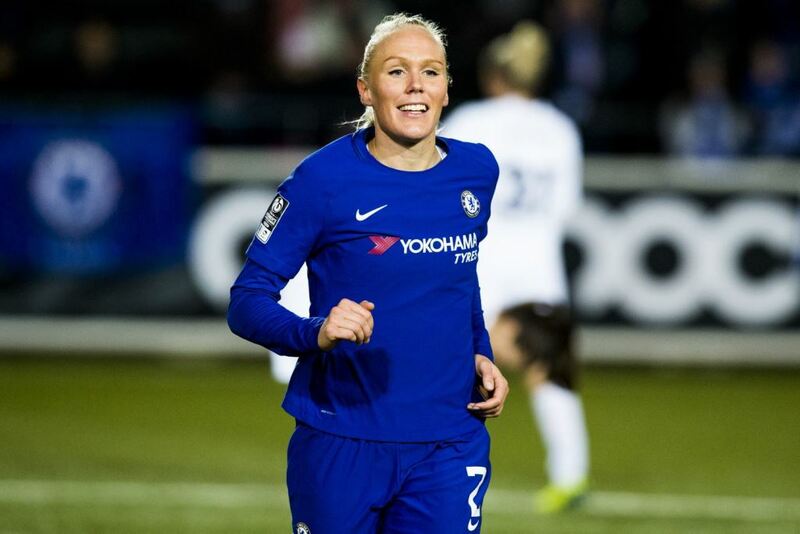 As for Maria, the Norwegian international joined the club just days before the beginning of this season in September 2017 and ever since then, the 24-year-old has been a constant feature for the English team. Currently second in the league table, Chelsea have four more games remaining of the Women’s Super League One season and only a difference of one goal separating them and the team on the top. We hope Hedvig could experience a second domestic double and Maria a first wonderful season in England. LTA Agency congratulate Hedvig and Maria for this achievement and wish them good luck for the end of the league.